Leonie is proud to sponsor a cyclist in the 30th Annual BP MS 150. 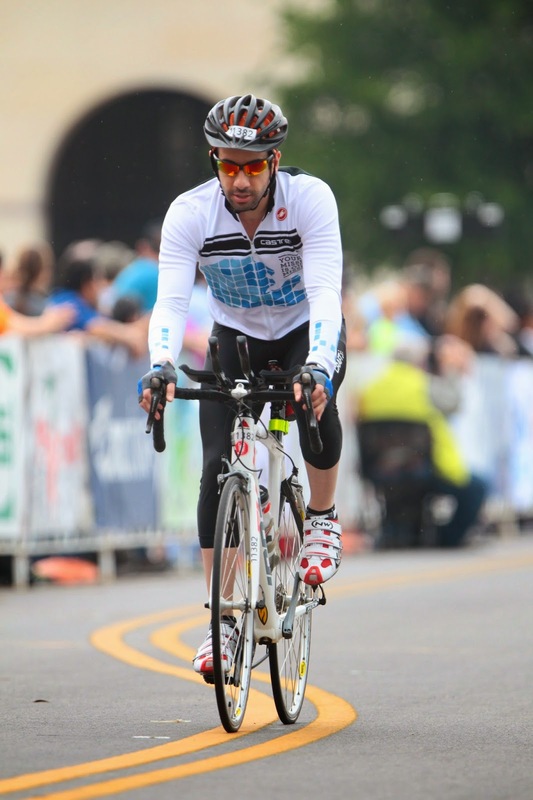 The BP MS 150 is a fundraising cycling ride organized by the National MS Society: Lone Star. This ride is the largest event of its kind in North America. The ride is a 180-mile journey for MS from Houston to Austin. Multiple sclerosis is a chronic, unpredictable disease of the central nervous system (the brain, optic nerves, and spinal cord). It is thought to be an autoimmune disorder. This means the immune system incorrectly attacks the person's healthy tissue. Most people are diagnosed between the ages of 20 and 50, although individuals as young as 2 and as old as 75 have developed it. MS is not considered a fatal disease as the vast majority of people with it live a normal life-span. But they may struggle to live as productively as they desire, often facing increasing limitations. Anyone may develop MS but there are some patterns. More than twice as many women as men have MS. Studies suggest that genetic factors make certain individuals more susceptible than others, but there is no evidence that MS is directly inherited. MS occurs in most ethnic groups, including African-Americans, Asians and Hispanics/Latinos, but is more common in Caucasians of northern European ancestry. Approximately 400,000 Americans have MS, and every week about 200 people are diagnosed. World-wide, MS affects about 2.5 million people. Because the Centers for Disease Control and Prevention (CDC) does not require U.S. physicians to report new cases, and because symptoms can be completely invisible, the numbers can only be estimated. Symptoms of MS are unpredictable, vary from person to person, and from time to time in the same person. For example: One person may experience abnormal fatigue and episodes of numbness and tingling. Another could have loss of balance and muscle coordination making walking difficult. Still another could have slurred speech, tremors, stiffness, and bladder problems. Sometimes major symptoms disappear completely, and the person regains lost functions. In severe MS, people have symptoms on a permanent basis including partial or complete paralysis, and difficulties with vision, cognition, speech, and elimination. MS symptoms result when an immune-system attack affects myelin, the protective insulation surrounding nerve fibers of the central nervous system (the brain and spinal cord). Myelin is destroyed and replaced by scars of hardened "sclerotic" tissue. Some underlying nerve fibers are permanently severed. The damage appears in multiple places within the central nervous system. Myelin is often compared to insulating material around an electrical wire; loss of myelin interferes with the transmission of nerve signals. In rare cases MS is so malignantly progressive it is terminal, but most people with MS have a normal or near-normal life expectancy. Severe MS can shorten life. Does MS always cause paralysis? No. Moreover, the majority of people with MS do not become severely disabled. Two-thirds of people who have MS remain able to walk, though many will need an aid, such as a cane or crutches, and some will use a scooter or wheelchair because of fatigue, weakness, balance problems, or to assist with conserving energy. No. MS is not contagious and is not directly inherited. Studies do indicate that genetic factors may make certain individuals susceptible to the disease.